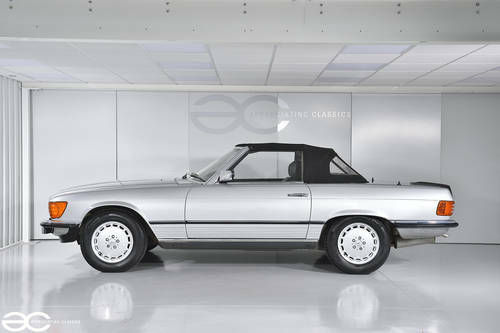 We are very happy to offer a fantastic, Mercedes Benz 280SL with just 33,592 miles and low owners from new. 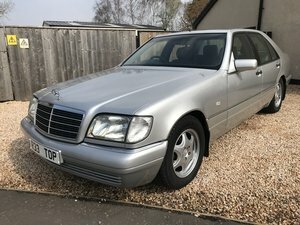 Very rare with low mileage and low owners now, and an ideal summer driver. 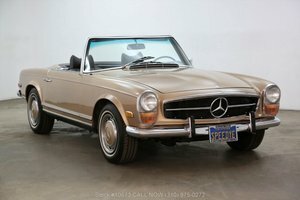 A hardtop is with the vehicle, and is a great addition, giving three driving choices, roof down, convertible roof up, or hardtop roof. Long term ownership, with just 3 previous owners, and the last owner being from 1999 to current. A fantastic investment, that you can enjoy. 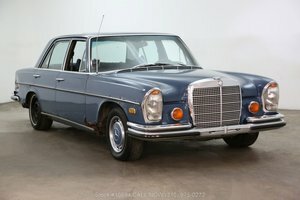 Accompanying this vehicle is a comprehensive history file, which includes the Original V5, both sets of keys, plus the unused & unopened master key. 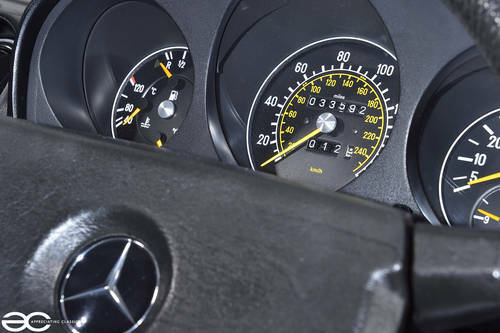 With full service history from new, and MOT history from 2001, the mileage is fully warranted as you would expect. The car has also just had a new set of Pirelli tyre’s fitted, so you can rest assured the car is ready to be enjoyed. 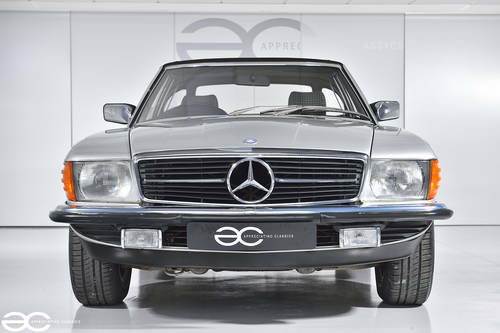 We would go as far to say, that the shape is almost iconic Mercedes Benz. 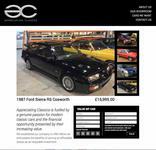 All bodywork is in great condition, and represents the low mileage perfectly. None of the usual corrosion on the sills or wheel arches, this is a truly loved vehicle. No car parking dings or dents, lovely straight panels with excellent fitment. With the car is a colour matching hardtop, which is also in very good condition. 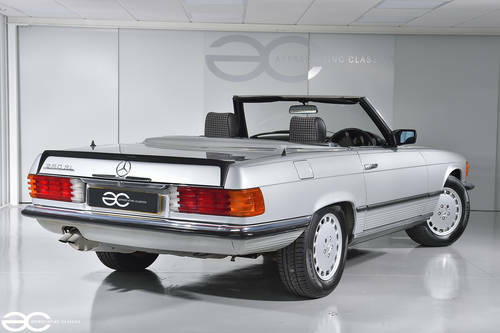 If the hard top is not the roof of choice, then the original cabriolet roof is also in great condition, and looks very nice, breaking up the silver colour a little. Again, the wheels are in extremely good original condition. All moldings, badges and lights are all in good order, along with the glass which is without any damage. 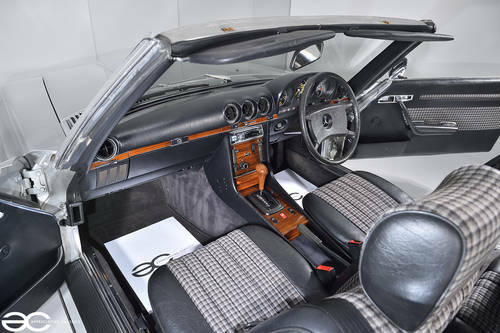 As you would expect with such low mileage, the interior presents very well. Everything works just as it should do, demonstrating the fantastic build quality that these cars were famed for. Beside everything working correctly, the interior is in superb condition, with no signs of wear to the extremely comfortable seats. The walnut dash trimming are all in very good condition, as are the steering wheel, and switch gears – even the pedal rubbers are in good condition. The only non standard item is the stereo, which is a great addition, with bluetooth telephone connectivity. A fantastic place to be. With Mercedes & Specialist care through its life, the car has been well looked after and it is clear to see it has been loved. Turn the key and the engine fires straight in to life, running nice & quietly from cold start up. On the road the car drives very well, with adequate performance, driving perfectly through the rev range. Unlike many other examples, the engine bay itself presents very well, with all components being clean and presentable, along with the inner wings, and chassis legs which are in great condition and without any corrosion at all. This car is an absolute pleasure to drive, and will not fail to put a smile on your face, especially with the roof down. It drives lovely and smooth, with effective and true braking. The gear change is very nice, and steering nice & direct. The brand new tyres are of a premium brand, being Pirelli.